I've seen quite a bit of business cards over the years. Once in a while, a unique design will stop me in my tracks. When I open a file, I can typically see how to print the design right away. IT House's design made me pause which I hope will happen when someone receives this business card. There's a play with texture. 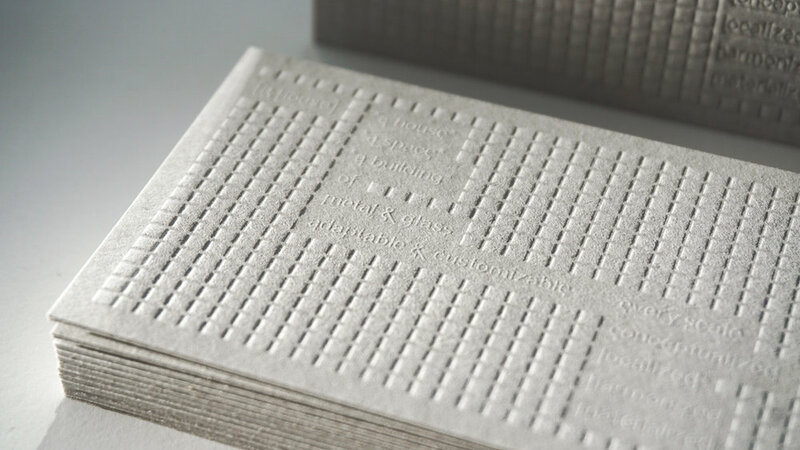 We create two versions in case the knockout of the letterpress didn't know and we pressed lines and the squares creating a design you can almost touch when you see it. To help the blind design pop, we added a touch of transparent ink. 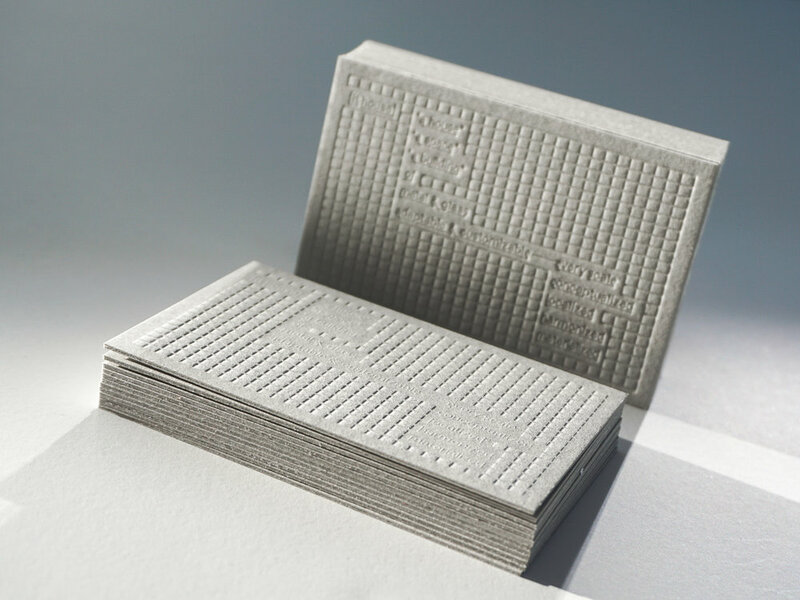 We foil stamped the information and mounted two sheets of Colorplan 130# for an extra luxe card.